Susan Friendson is a certified Depth Hypnosis practitioner and a co-owner of Santosha Yoga and Holistic Health Center. She became interested in Depth Hypnosis after several years of studying Applied Shamanism, Integrated Energy Medicine, and Buddhist Psychology with Isa Gucciardi. 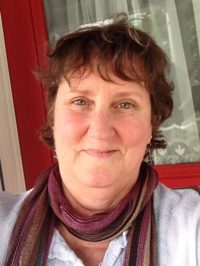 Susan has also earned certifications in mindfulness coaching, level one herbalism, yoga teaching, and Amrit Yoga Therapy. Her goal as a healer is to help people perceive themselves with clarity and honor themselves without reservation, so that they may live as peacefully and as joyfully as possible.